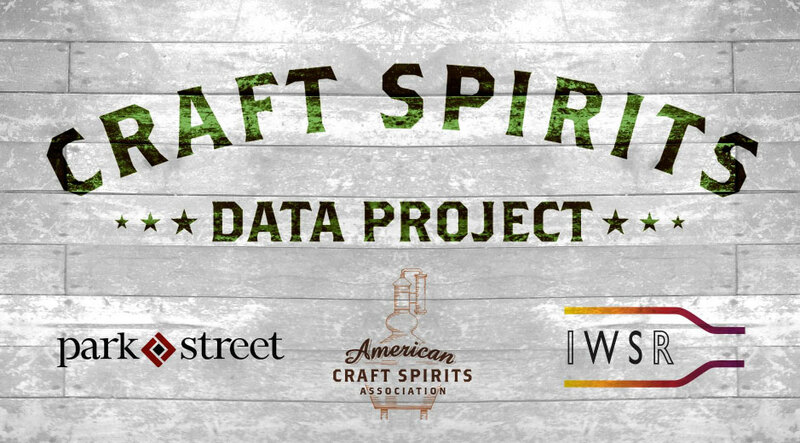 MIAMI, FL – Park Street Imports has teamed with the American Craft Spirits Association (ACSA) and the International Wine and Spirits Research group (IWSR) to develop and release the Craft Spirits Data Project for a second year. The project, developed last year, analyzes market data and current industry trends to better understand the burgeoning liquor sector and provide new venture brands with the tools to make informed market decisions. With the support and collaboration of the U.S. Alcohol and Tobacco Tax and Trade Bureau (TTB) and data partners including Nielsen, the project evaluates cross-sectional data from consumers, producers, distributors, and retailers to shed light on key industry developments. The U.S. craft spirits industry is increasing exponentially in both volume and value. For purposes of this research, U.S. craft spirits are defined as distilled spirits manufactured in the U.S. by licensed producers that have not removed more than 750,000 proof gallons (or 394,317 9L cases) from bond, market themselves as craft, are not openly controlled by a large supplier, and have no proven violation of the ACSA Code of Ethics. In the past year, the number of active craft distillers in the U.S. grew by 20.8% to 1,589 in August 2017. Exports of U.S. craft spirits have also increased, peaking at 566,000 cases in 2016, adding more than 8.8% of additional volume to U.S. craft distillers’ total sales. Exports grew by 8.2% versus last year. Additional progress can be noted in the employment and investment sectors. Park Street will be updating and releasing the Craft Spirits Data Project annually and hopes that their findings and services will continue to provide an in-depth look at the evolution of the spirits industry and aid the progression of the craft market. This program aims to create a deeper understanding of the U.S. craft spirits landscape among four key groups: consumers, DSPs, distributors, and retailers. In addition to analyzing craft spirits brand perceptions and consumption drivers at the consumer level, the study collects data on craft distiller production size and patterns, sources and amounts of revenue, and the category’s overall economic impact within the spirits industry. The Project also collects data on craft spirits business size, patterns and outlook on the distributor level and assesses craft spirits business size and outlook by premise type at retail. The Project provides findings on craft supplier best practices and success factors. When estimating the number of producers behind the U.S. craft spirits production, the project team relied on a combination of official data released by regulatory authorities, survey data, other industry data sources both national (e.g., NABCA, TTB) and regional (e.g., Guilds), as well as interviews and team assessments using the craft distiller definition. Park Street delivers productivity-enhancing and cost-saving back-office solutions, advisory services, and working capital to more than 3,000 alcoholic beverage brands from the U.S. and around the world. Established in 2003, the company provides a fast and reliable conduit to the U.S. and E.U. markets and a cost-effective operating platform. Park Street works with suppliers at all stages of growth and its clients range from entrepreneurial craft distillers to multi-brand global portfolios.